Can a Hotel be too Digital to Fail? Virtually everyone has been riding a wave of prosperity and rising numbers over the last few years. But now, with the revenue per available room growth curve flattening out and leaner times ahead, savvy hoteliers understand that it isn’t enough to simply go along for the ride. Looking ahead, it is incumbent upon proactive hotel owners and operators to assess their approach; is your marketing and sales team making the most of their opportunities? Specifically, at a time when powerful, new technologies, the explosive growth of social media platforms and the evolution of new communication modalities are changing the way we communicate with and market to core audiences and professional partners. Prudent hoteliers will weigh the importance of leveraging the effective use of technology while simultaneously strengthening personal communication and nurturing client relationships. A great deal has been written about the affinity for technology among millennials, as well as members of Generation X and Generation Y. 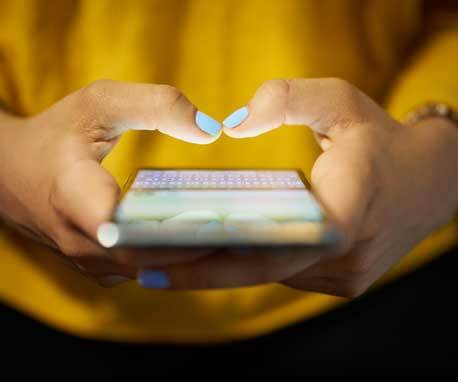 A large (and growing) segment of the population today communicates more effectively and stays connected largely through texting, email, Twitter, Facebook and other social media channels. As efficient as these tools are, there is an inherent and unavoidable level of impersonal disconnection that creeps in—even as we may feel more connected than ever. At least one study has suggested that as much as 93% of communication is based on nonverbal body language. Can you afford to ignore this fact when trying to develop long-term business relationships? From a sales and marketing standpoint, there is a similar conflict at work. Even as we are “in touch” with our customers more often, we are in some ways more disconnected from them. At the same time, the growing focus on e-commerce and digital communications has eroded some of the “old-school” focus on leveraging data, tracking down opportunities and engaging in the kind of face-to-face and highly personalized engagement that can yield significant and sustainable lines of business. In some ways, we have lost (or at least temporarily misplaced) the important art of effectively selling our hotels. We must strive to find ways to connect personally to establish strong and binding relationships with our clients. It takes a great deal of focused effort and engagement to work closely not just with travel agencies, but with individual agents, cultivating and maintaining those all-important personal relationships. Doing your homework, tracking down information and making personal connections that literally and figuratively pay off, all takes time and resources. The very definition of hospitality—“to create a warm and sincere welcome”—can be potentially compromised by an over-reliance on technology. An email or a text may be convenient, but is it warm? Can it evoke the same sense of connection that a big smile and a one-on-one conversation can convey so effortlessly? New technology and communications tools are very efficient for transactional business, but there are very real limitations with respect to relying exclusively on these tools in a marketing and sales context. Complementing technology with engagement is absolutely essential. Make it a point to get out to see your major clients and connect with agents and brokers—not just at sales meetings, but through regular personal touches. A detailed digital sales strategy is an important piece of the sales and marketing puzzle for any hotel. However, we cannot become so enamored with the convenience of digital communication and the power of e-commerce that we neglect valuable and lucrative sources of business generated through more traditional engagement. The trick is to use technology and market intelligence strategically: not as a standalone strategy, but as a complementary piece that helps you enhance business relationships. Utilizing advanced BI Tools like Demand 360 and Agency 360 from TravelClick, or the Knowland suite of services, can help you identify key bookers. Direct sales calls on those agencies that don’t typically see sales people is not only a way to tap into new business, but also a way to forge valuable connections. Communication methods may change, but the importance of establishing a personal connection remains constant. Different generations may have disparate preferences and comfort levels in regards to their favored communication platforms; it is up to us as hotel professionals to understand, adapt and respond accordingly. We must constantly strive to find ways to stay connected with our guests and clients through face-to-face and voice-to-voice communications. We must take full advantage of powerful new digital communications tools, while striving to make electronic communication more personal and sincere. In the years ahead, hospitality professionals who can strike the right balance and effectively use personal engagement to foster relationship-building will find themselves well positioned to compete in an ever-changing marketplace.